Councillors and business owners have criticised a bus firm’s decision to axe services in and around Wrexham. Gwersyllt West Plaid Cymru councillor Gwenfair Jones has spoken out after Arriva Buses announced they would be operating reduced services in the Gwersyllt and Summerhill area as part of a package of service cuts that will affect many parts of the town and surrounding villages. Last week Wrexham.com reported that a series of service withdrawals, alterations to existing timetables and routing of services will be introduced in late March and early April. The majority of the changes proposed relate to commercial services operated by Arriva Buses Wales – who say the services are “not commercially viable and are being modified or withdrawn in order to protect the rest of the Wrexham bus network”. Speaking last week Cllr David A Bithell, lead member for environment and transport, said the local bus industry was “at a breaking point” – a statement that Michael Morton, managing director of Arriva Buses Wales, disagreed with. Cllr Jones said the looming changes will have an impact on many residents who rely on the service every day. “These cuts to services are the latest in a series of blows to the public transport network in Wrexham,” continued Cllr Jones. “It’s clear that we need investment to ensure people can continue to rely on bus services in villages such as Gwersyllt and Summerhill as well as other parts of the borough affected by these changes. 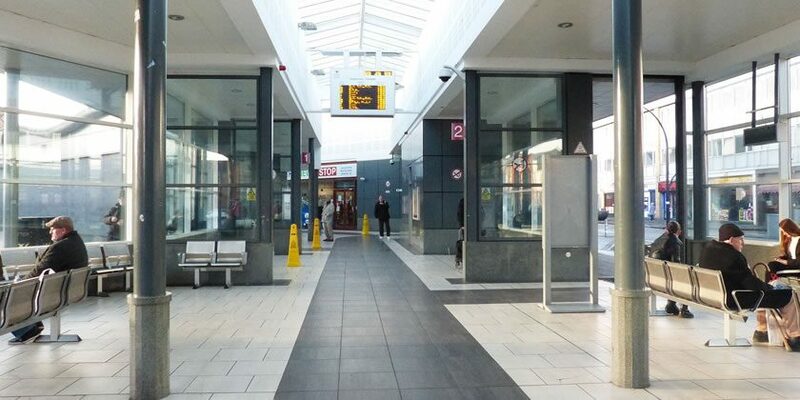 The news of the service withdrawals / changes came just days after it was announced that the Wrexham bus station was to undergo a £250,000 refurb and a series of improvement works. Cllr Jones added: We’ve heard about plans to spend millions on a new transport hub in Wrexham and this latest capital spend of £250,000 on the bus station. “It doesn’t make sense in my view to be spending that sort of money on shiny buildings when the buses serving them are being axed. At this rate, we’ll end up with a bus station that has no buses. “The Welsh Government held a ‘bus summit’ in Wrexham two years ago and what has it delivered? Like many people shivering at bus stops, we’re still waiting. Pendine Park proprietor Mario Kreft MBE said: “We are shocked that consideration is being given to removing both bus services from this important route. A full breakdown of the routes that will be affected by the changes can be found here.